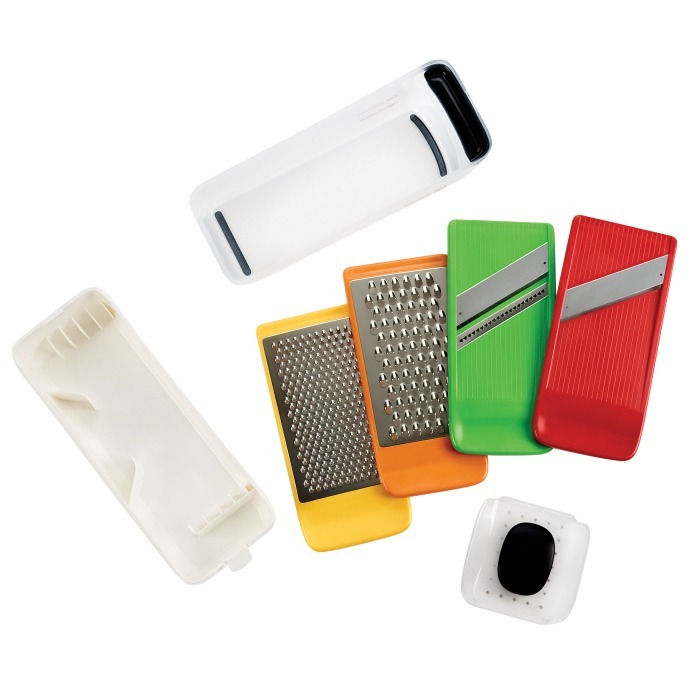 The OXO Good Grips Complete Grate & Slice Set has everything you need for a variety of grating and slicing tasks. 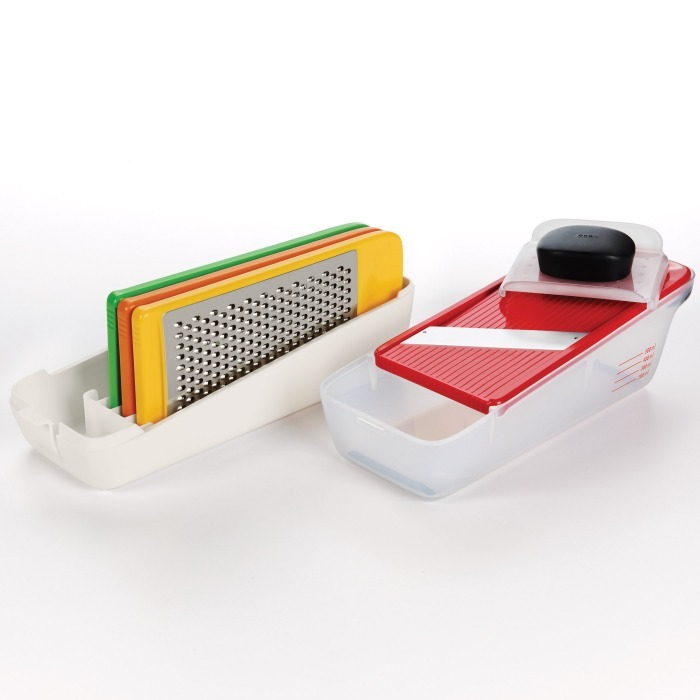 This convenient, compact Complete Grate & Slice Set features coarse and medium grating surfaces, and straight and julienne slicing surfaces. 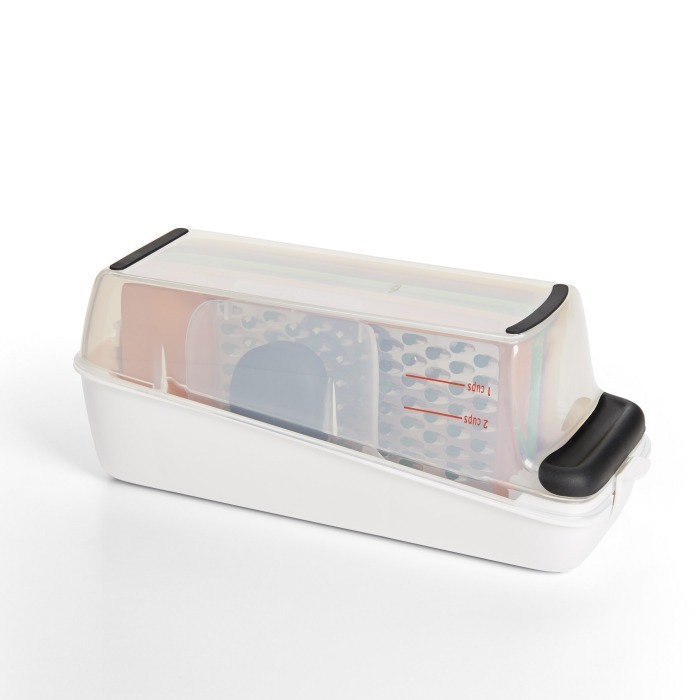 Each color-coded surface can be used over bowls or plates for quick jobs, or placed on top of the lid, which doubles as a container for collecting and measuring food. 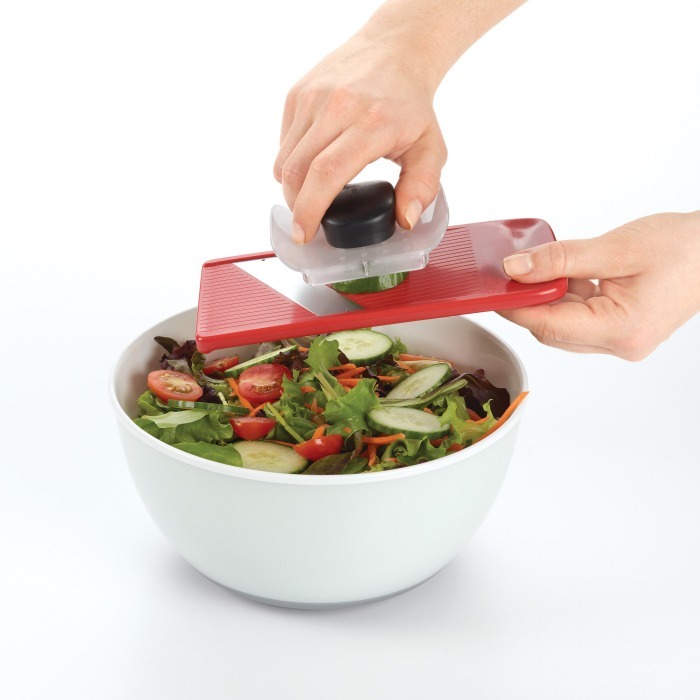 The handle on the container provides a secure, comfortable grip and non-slip feet keep the container steady while grating or slicing. 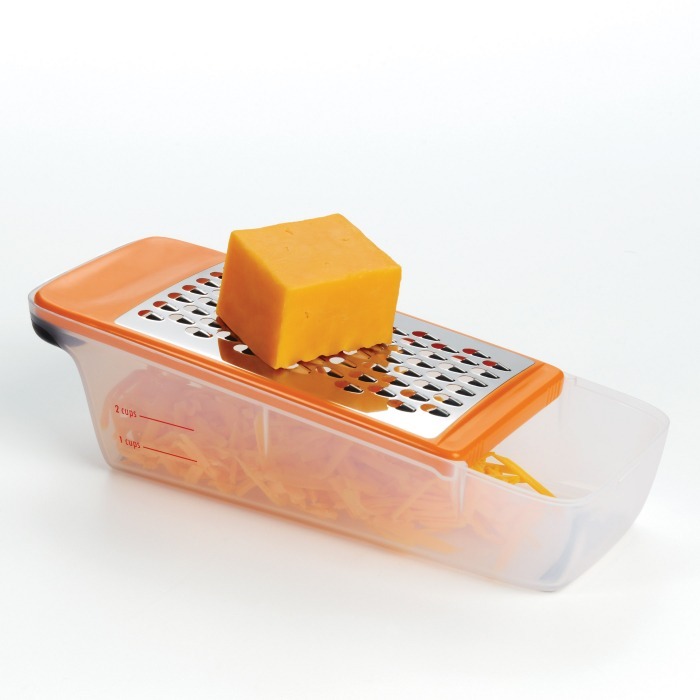 When you’re finished slicing or grating, the surfaces and food holder fit neatly into slots inside the flat, easy-to-store container.